I’ll be honest : sometimes I don’t want to read another book on finances, or marriage, or career – especially if I feel things are going well in those areas of my life. But I always include them on my list. Why? Because I believe it’s important to keep growing in all areas of your life – even the ones you don’t really want to learn about. So, with that said, I’m certainly looking forward to my list for this year! My goal is to read 12 of these 17 books listed, which translates to 1 per month. (Since there’s a baby that will take up much of my time, I figured it would be a wise move for 2015.) I may not finish all of them, but I did include extras in the list, just in case I found myself reading like a crazy woman on maternity leave. So here it is… my book list for 2015! Don’t forget to follow the #nancyrayreads hashtag on Instagram! 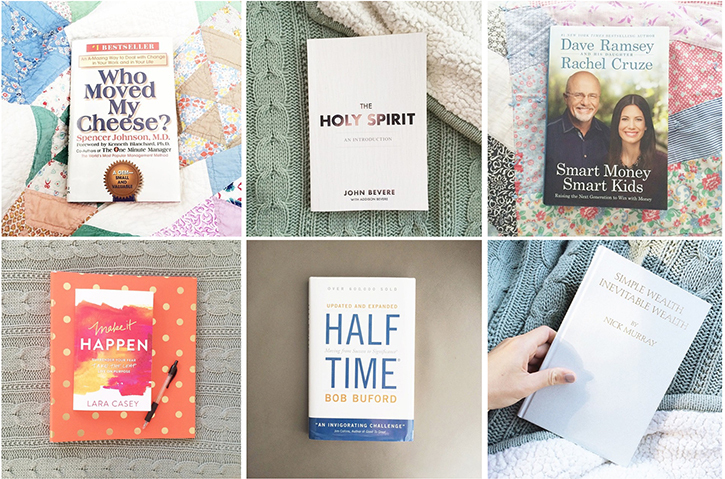 Birthday Year Reading List | …. Hi dear! Loved seeing you this weekend. I love this list and will be grabbing a few of your marriage book recommendations! I have to share my go to parenting book—Moms on Call. I loved Baby Wise and Happiest Baby on the Block, but found that when I was exhausted and overwhelmed at 2 a.m. in those early weeks (it doesn’t last forever I promise!) I couldn’t process them or remember what I had read. Moms on Call is a quick, bullet point style read that I could refer back to in a hurry whenever needed (which was often!) Highlights include their shopping list and sample daily schedules for each age and stage. So so helpful! The Glass Castle is wonderful! I hope you get to that one Also, I’m glad to see you found a copy of Childbirth Without Fear that has a better cover photo! Haha I can’t stand the other one(s). Love your list! I always look forward to your book list! Scott read 1776 last summer and LOVED it. Enjoy! Really excited for you, Nancy! I believe the best thing you can give your child (and this world, really) is a healthy marriage. Love that you’re continuing to invest in one another. I did a bible study my last 8 weeks pregnant with Eden. One of the first sentences in the study said something to the effect of: There are a million and one parenting books out there claiming to have the best advice and right advice. But they ALL contradict one another leaving us overwhelmed and confused. The author went on to encourage us to utilize the Holy Spirit, our Helper, in our parenting. I know you know that – but it was so good to read. Trust your God given instincts with baby Ray. He created that little love, and has equipped you PERFECTLY to raise him or her. I can give you instance after instance when I sought God in my parenting, begged for wisdom, and He gave it. Over and over again. With that said – there were 3 books I found especially helpful. Aaron and I did Bradley Method with each of our children, and if you aren’t able to take the class, Husband Coached Childbirth is a fabulous read. Even if you don’t intend on natural labor, it is very helpful, and through. I can honestly say that some of my most favorite memories as a married couple are the birth of our children. We were a team, and no way could I have done what I did without my man beside me. Precious memories. 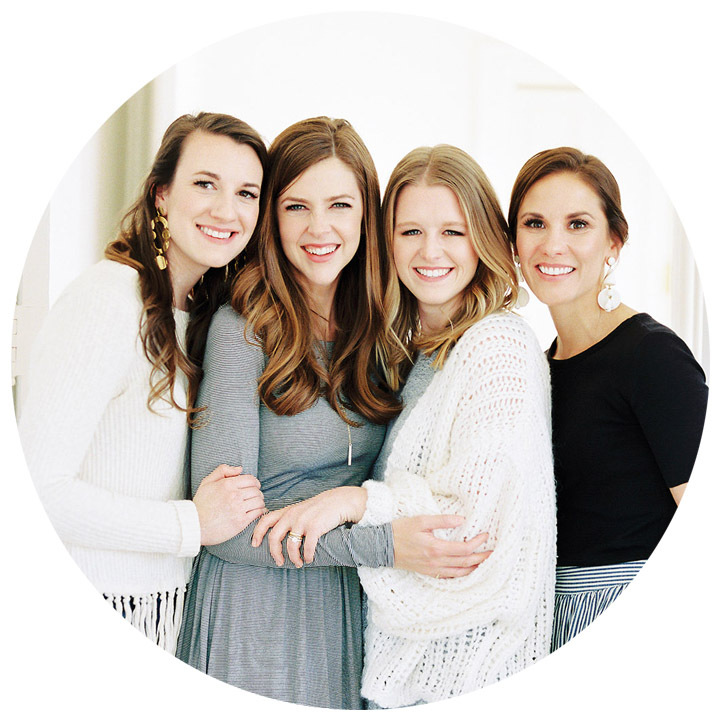 The other 2 are On Becoming Baby Wise and Shepherding a Child’s heart. Read them both with a grain of salt – and remember they aren’t Gospel. But they were VERY helpful for Aaron and I with our little girl. But as you walk through parenting and recall wisdom from books, friends, etc. don’t forget your Helper. If it’s not working, try something else. And give yourself a LOT of grace. Y’all aren’t going to be perfect parents, but you serve a God who is. Can’t wait to see his or her beautiful face! I have an almost-three-year-old daughter (and another baby girl due in May!) and I am a parenting/childhood development book junkie. That said, my favorite parenting book hands down is Simplicity Parenting. It is the one book that truly changed the way we parent. Congratulations on your sweet baby, Nancy! Motherhood can make your whole life seem brand new.